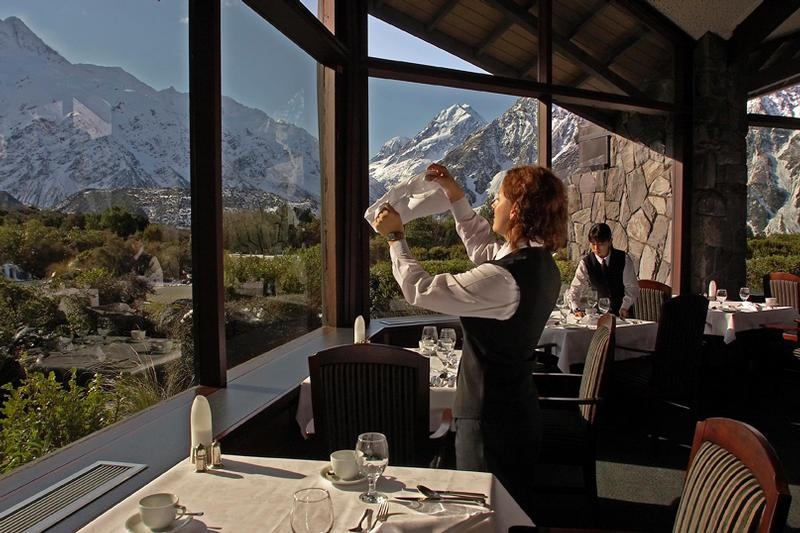 Take advantage of the stunning views of Aoraki/Mt Cook while dining from the Panorama Restaurant. Bookings are essential. 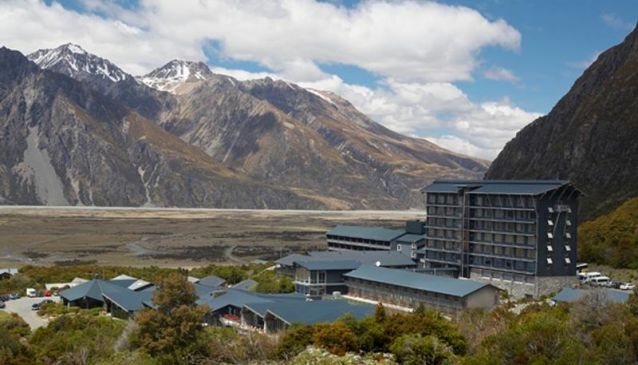 Impressive 4.5 star hotel at the foot of Aoraki/Mt Cook. 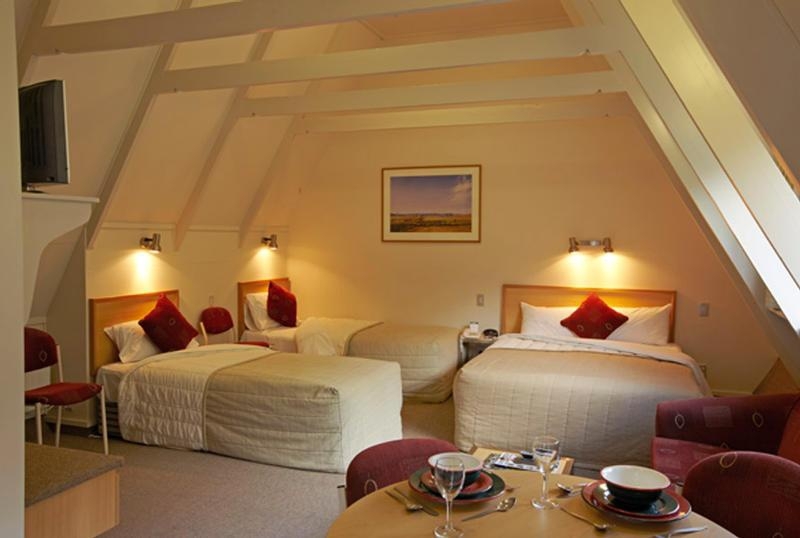 Self-catering and serviced accommodation available. Focal point of the village. 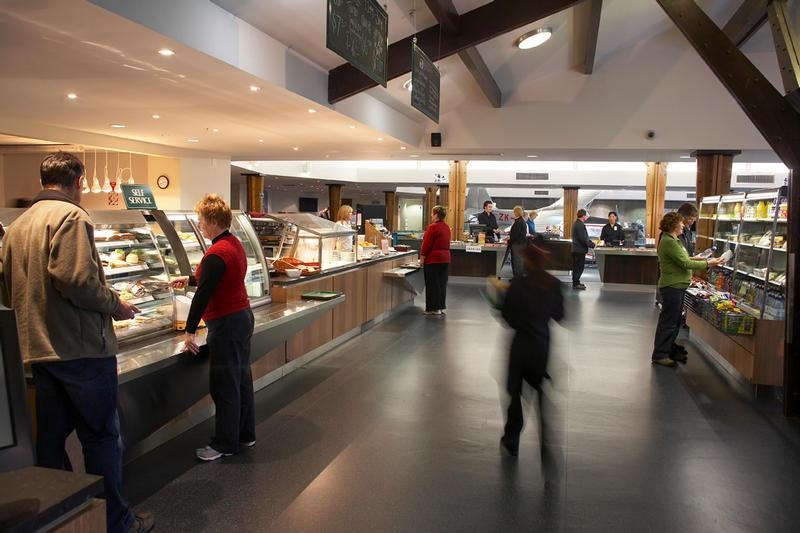 Very friendly staff, excellent facilities & stunning location. 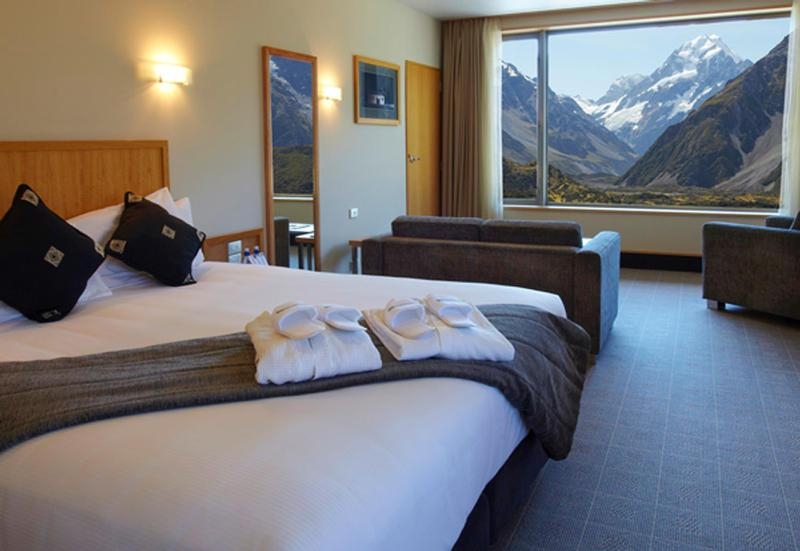 The Hermitage Hotel is a landmark of the landscape around Aoraki/Mt Cook. 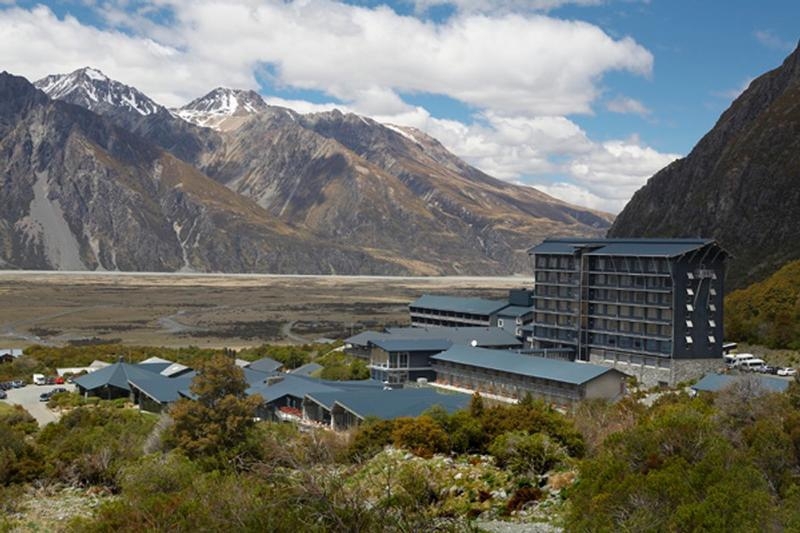 There's been a hotel here since the 19th century, the current building now incorporating the Sir Edmund Hillary Alpine Centre, Aoraki Wing and Mount Cook Wing. 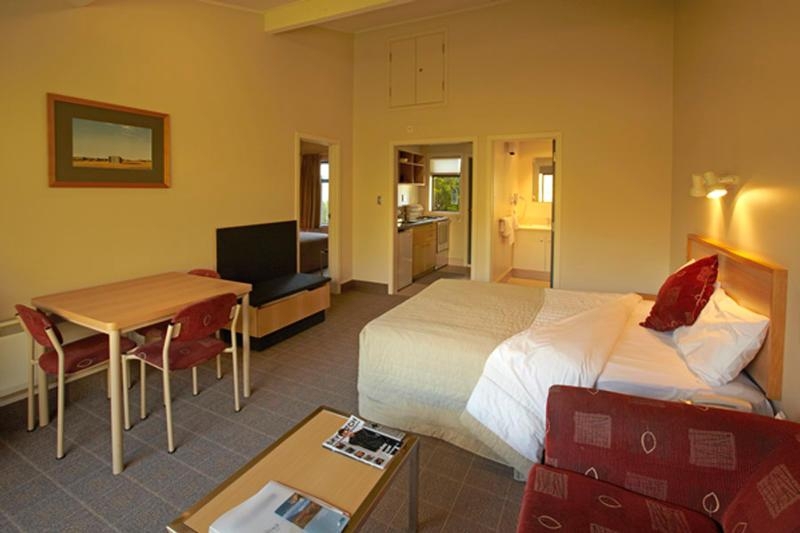 Facilities include restaurants, bars, laundry, sauna, wi-fi and a retail centre. 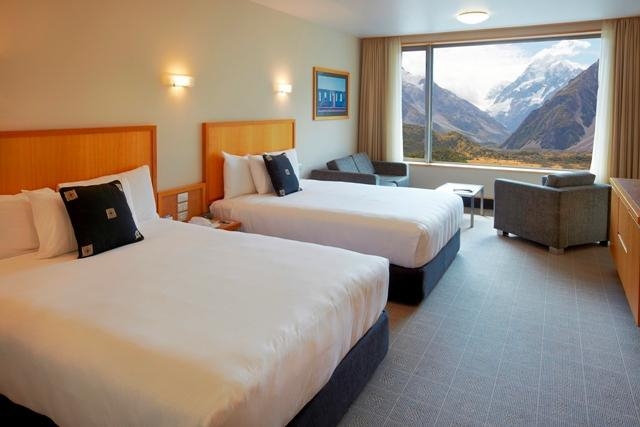 Obviously popular with skiers and hikers, The Hermitage Hotel offers superior service and a whole host of entertainment and amenities for your stay in Aoraki/Mt Cook village. 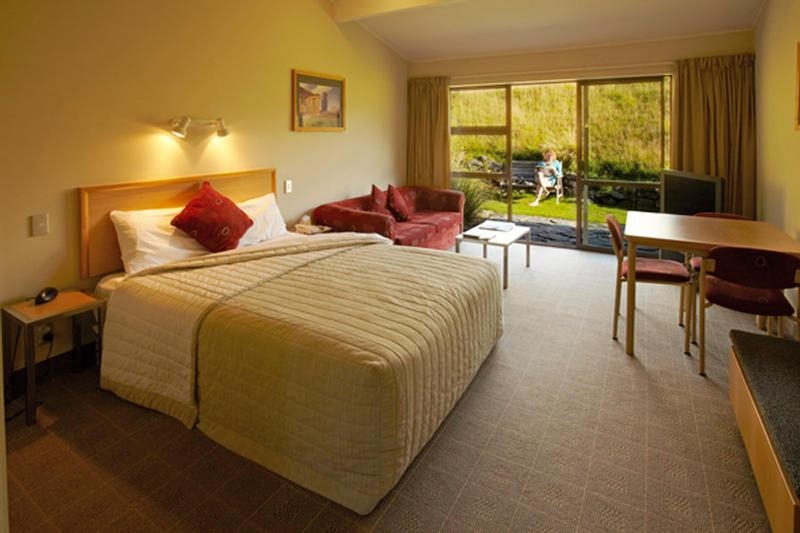 The hotel also offers superlative conference and wedding facilities. 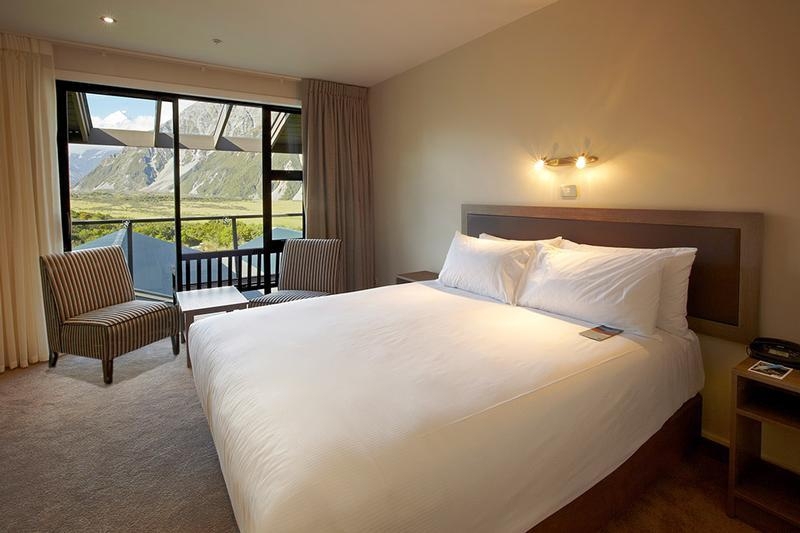 The Hermitage Hotel offers 216 rooms of various configurations. All contain fridge, phone, internet connection, satellite TV. 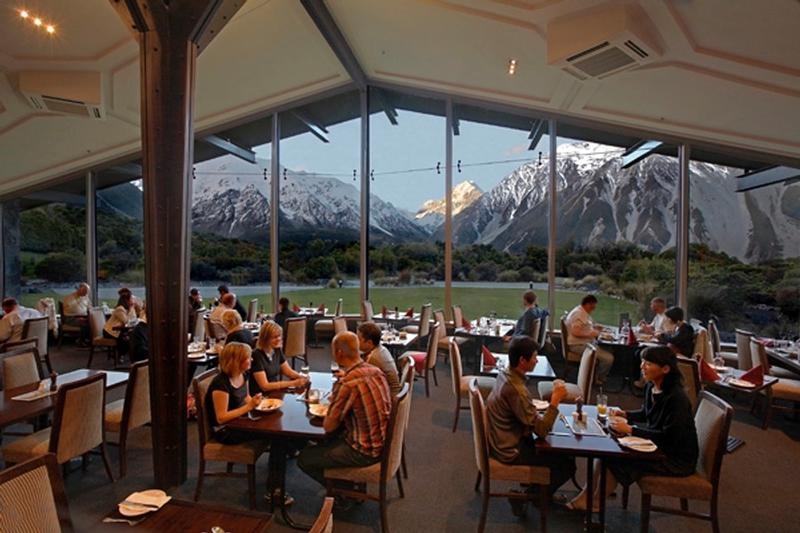 Take advantage of the stunning views of Aoraki/Mt Cook while dining from the Panorama Restaurant. 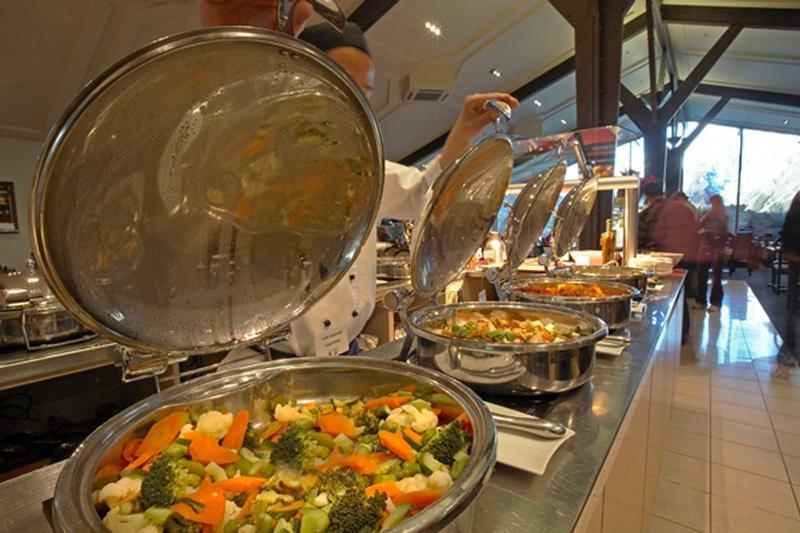 There is a choice of restaurants and bars at The Hermitage Hotel, offering a la carte and buffet dining. 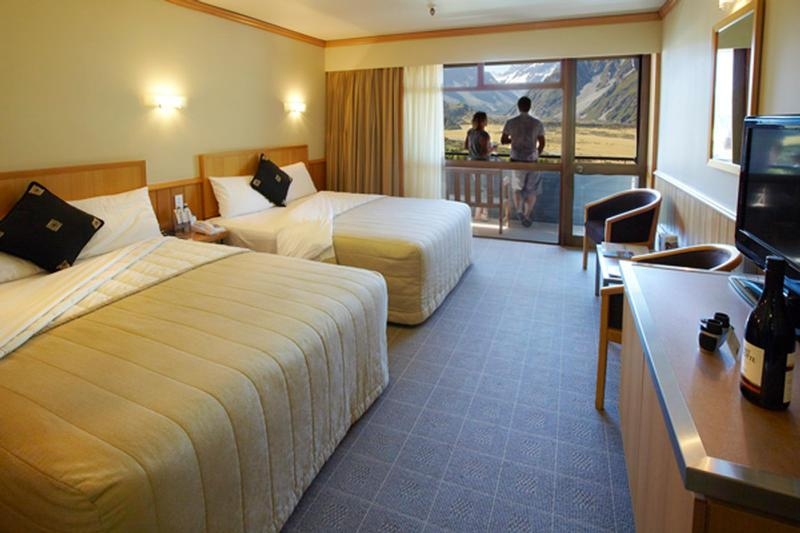 Located beside the hotel is The Sir Edmund Hillary Alpine Centre, which traces the unique history of this region and Sir Edmund Hillary's achievements. 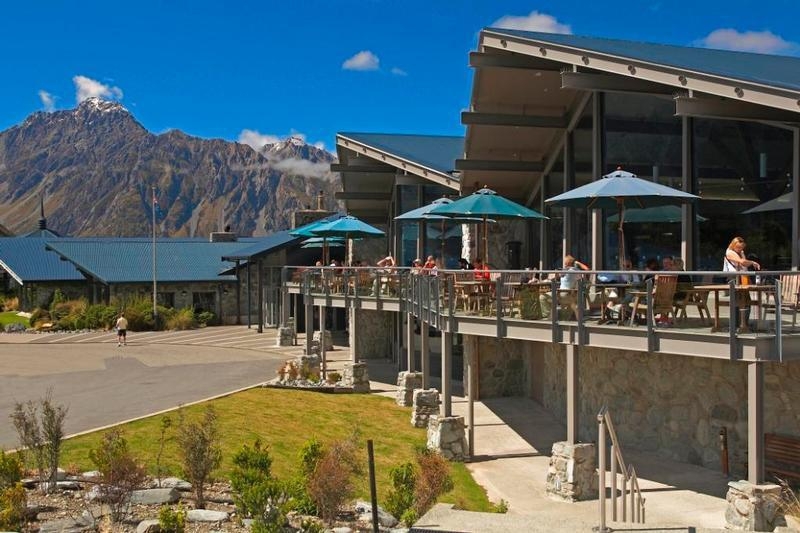 The exhibits vividly recreate the milestones of Hillary's life and his affiliation with Aoraki Mount Cook.